a transformational experience waiting to be realized. Visionary art dresses the tipi, traditional art within. Please be aware: altitude and attitude will ascend. The eagle is indigo the ridges are blue the rest however is green. So know when you stay, its kind of our way: sustainable, responsible, clean. From sunset to starscape, the mountain expanse – is here awaiting you. So do what you do, whatever you do, before The Eagle’s Nest of a view. Tipi sleeps up to 3 people. There is also a cabin tent onsite with a full size bed. Additional campers may set up extra tents. Site will accommodate up to 14 total guests. Access to the waterfalls and creeks down in the valley of Indigo Eagle Sanctuary are included with your stay. Site is located within a few miles of the Blue Ridge Parkway and Cherokee Reservation. there is a little cabin with a deck on the creek. Amidst waterfalls and springs, it is quite unique. Its made of white pine, oak and hemlock betwixt. It sports a wood stove and accommodates six. Build a fire, take a hike, fish a fish, meditate. You should know there’s no wifi, its not that kind of date. On a plush carpet of moss enjoy a barefoot stroll. Relax in a hot bath or splash in the swimming hole. Stay at our Creekside Cabin along Cranberry Creek. You can come for a day but you might stay for a week. Cabin sleeps up to 6 people. Additional campers may set up extra tents. Only 4 wheel drive accessible. Site is located within a few miles of the Blue Ridge Parkway and Cherokee Reservation. Numerous camp sites available. Access to waterfalls and creeks. Only 4 wheel drive accessible. 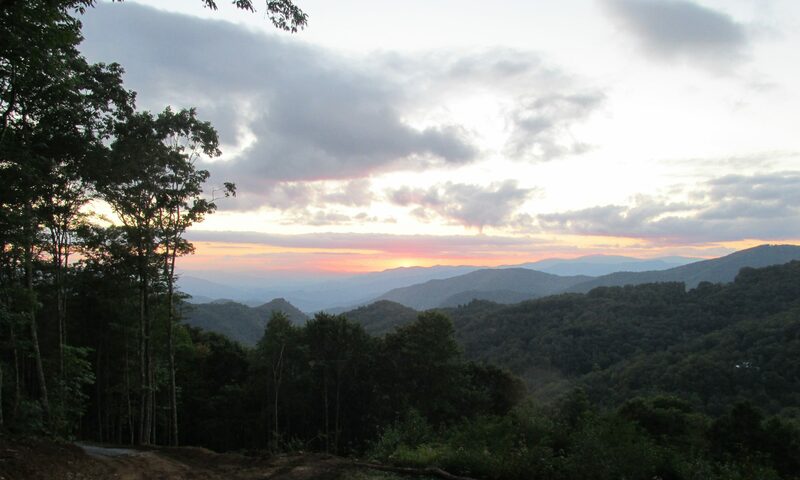 Site is located within a few miles of the Blue Ridge Parkway and Cherokee Reservation.